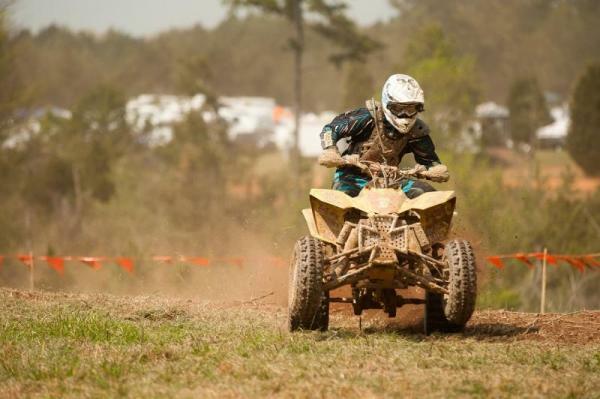 Chris Borich got back to his winning ways with a strong performance at the Pirelli Big Buck GNCC - round four of the 2011 Can-Am Grand National Cross Series in Union, South Carolina. After finishing fifth at round three in North Carolina when he suffered an ignition problem, Borich was determined to make a mighty comeback at the Big Buck. And that he did. The Rockstar Makita Suzuki rider got off the line in the top five at the start the race, and then moved into second behind round-three winner Adam McGill, as the two riders broke away from the pack. On lap three Borich came out ahead of McGill when the Foremost Insurance/Warnert Racing Can-Am rider pitted for fuel. From that point on it was all Borich, as the two-time champ turned up the heat, eventually taking the win by a forty-eight-second margin. Chris Borich got a big win at the Big Buck. Adam McGill was second. "I was kind of bummed two weeks ago," said Borich. "We rode our hearts out at the last race and pretty much had it won and then we had an electrical problem. So it was good to get this win today." "Me and McGill, Taylor Kiser, Brian Wolf and Chris Bithell were battling there on the first lap, but then McGill picked it up and the two of us pulled away from the pack," added Borich. "I was able to get the lead and just put the hammer down." McGill looked strong all day and gave Borich a run for his money during the early going. "This was a good day," said McGill. "I wish I could have been there at the end but I ran into some lappers. But that's racing. I'll take second place on the chin and keep going." Kiser rounded out the podium, the Ballance Racing Yamaha rider losing touch with the two leaders after a couple of get-offs on lap two. Taylor Kiser rounded out the podium. "It was really warm today so I tried to pace myself," said Kiser. "I made a few mistakes and lost ground, but all in all it was a good day." Foremost Insurance/Warnert Racing Can-Am rider Chris Bithell just missed the podium, finishing 40 seconds behind Kiser for fourth. Meanwhile, FRE Racing KTM's Bryan Cook was fifth, another 44 seconds back. GT Thunder rider Kevin Yoho ended the day in sixth, finishing ahead of JET Suspension Honda's Donnie Ockerman. Rounding out the top 10 were Jeffrey Pickens (Yam), GT Thunder rider Brian Wolf and Craig Bowman (Hon). Taylor Kiser rounded out the podium. Meanwhile, Jarrod McClure won the $250 Motosport.com Holeshot Award to start the race. Walker Fowler continues to dominate the XC2 class, making it four wins in four races with an impressive ride at the Big Buck. The Ballance Racing Yamaha rider used a new strategy this time, going all out for the first three laps to build a good lead and then coasting home for the victory. In the end, Fowler finished the race with four minutes to spare over runner-up finisher Gabe Phillips. "I tried to push real hard at the beginning to build a big lead in case I got tired at the end and I definitely got tired," said Fowler. "Maybe I pushed too hard, but that's how you get faster." Jarrod McClure grabbed the holeshot. Jarrod McClure grabbed the holeshot.Phillips was not happy at all with his second place performance, the Greg's ATV & Cycle Yamaha rider got a good start but indicated that the intense heat was a factor and he needed to stop several times for water. Eric Hoyland rounded out the podium, finishing just over two minutes behind Phillips. The Honda rider wasn't able to practice the week before the race due to severely sprained ankle he suffered on the Monday before. Greg's ATV & Cycle Yamaha rider Patrick McGuire got his best finish of the year with a fourth, edging out Honda rider Parker Jones by 17 seconds. Richie Brown was sixth on a KTM, while Honda riders Dustin Canipe (the $100 Motosport.com Holeshot Award winner) and Nathan Wallpe were seventh and eighth. 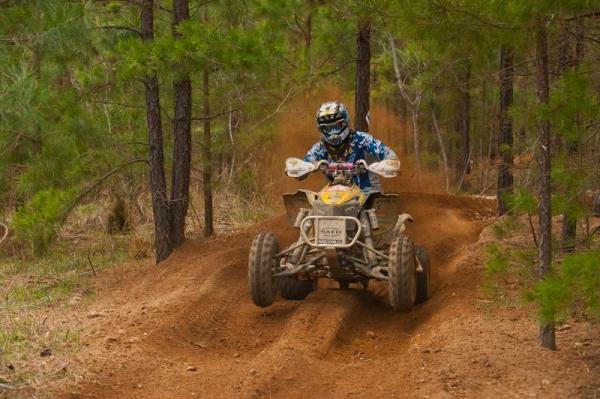 Greg's ATV & Cycle Yamaha Matt Hanna and KTM rider Aarol Bright rounded out the top 10. Jonathan Fugate won the Junior A (22+) with a 20th overall finish, the top non-XC1 or -XC2 rider in the afternoon race. In the A.M. race, Dave Simmons won the $100 GT Thunder Amateur Overall Award, beating out Lexie Coulter and Kristen Atwell for that honor. Walker Fowler won the XC2 race. Walker Fowler won the XC2 race. "It was really getting rough out there, but I got a good start and just kept charging," said Simmons. The top three Utility riders were Bryan Buckhannon, Michael Swift and Clifton Beasley, with Buckhannon making a last lap pass to grab the top spot. Meanwhile, Clifton Beasley topped fellow Can-Am riders Scott Day and Jordan Phillips to win the U2 division. In the Sportsman A class, Jonathan Waddell took the win on his Honda, with Brenton Crofut, also on a Honda, in second and Wes Stone in third on a Kawasaki. Josh Simmons ended Hunter Hart's three-race win streak in the Youth division by taking an impressive overall victory, his first time to ever do so. Hart finished the race in second with Charlie Welch in third. "I feels really good to get the win," said Simmons. "I just started picking off everyone I could and got the lead." In the 90 Modified (8-11) division, local rider Eric Bayne got the win, with Floridian Brandon Frazier in second and Ohio's Ronald Molitor in third. 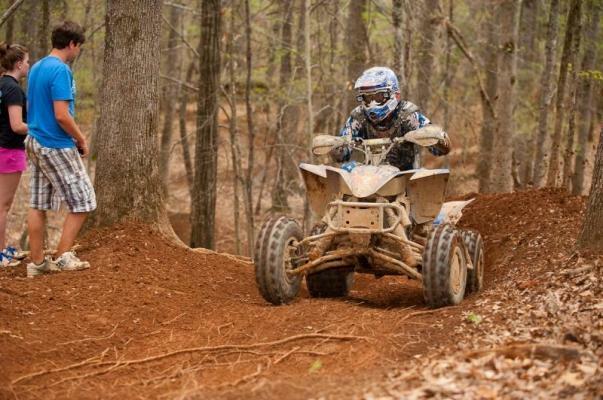 The 2011 Can-Am Grand National Cross Country Series heads to Hurricane Mills, Tennessee for the Parts Unlimited Loretta Lynn's GNCC on April 30 and May 1. 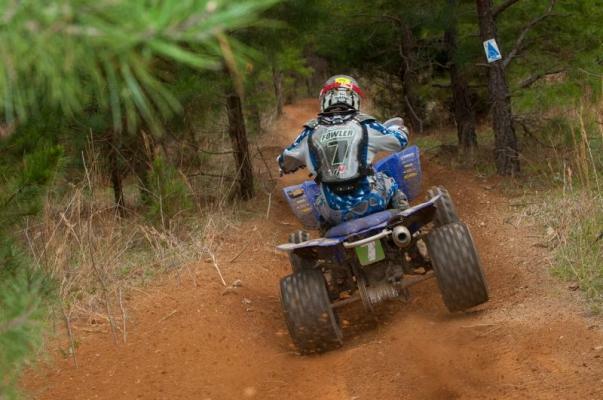 ATV racing will take place on Saturday, followed by bike racing on Sunday. For more information, please visit www.gnccracing.com. 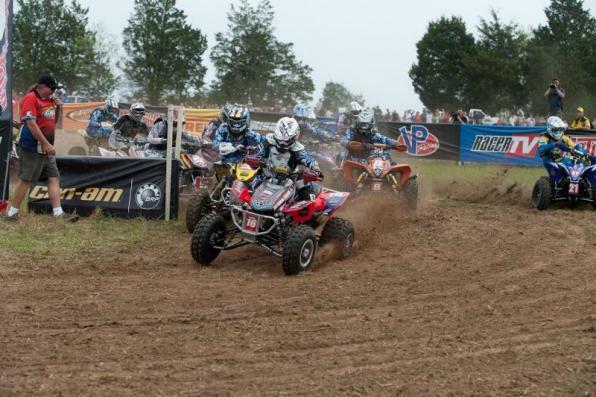 The Can-Am Grand National Cross Country Series is America's premier off-road racing series. Founded in 1979, the 13-round championship is produced exclusively by Racer Productions. Cross country racing is one of the most physically demanding sports in the world. The grueling three-hour GNCC races lead as many as 1,800 riders through tracks ranging in length from eight to 12 miles, competing for more than $3 million in prizes. With varied terrain, including hills, woods, mud, dirt, rocks and motocross sections, GNCC events are tests of both survival and speed. For more information, please visit www.gnccracing.com.